What European response to American extra-territoriality? Off we go on the quest of the Europe that protects. Have the American economic sanctions against Iran had a so-called extraterritorial effect and are they challenging European sovereignty? Yes. Does Europe have to respond to this? Yes. And does it have the means to do this? Probably, and it has just taken the first step in this direction. The USA have developed a series of rules that shape a coordinated, coherent, effective policy, the impact of which on our country and our businesses is massive. They concern the fight to counter corruption (FCPA), taxation (FATCA), with the issue of the so-called "Accidental Americans"), the supervision of investments (CFIUS), arms exports (ITAR and ITAR free) and matters digital (Cloud Act). These measures are interpreted and implemented in a discretionary manner by the USA. Everything leads us to believe that Airbus will be one of the next points of friction, with the press release by the European aircraft manufacturer as follows: "Airbus cooperating fully" which is not reassuring. In addition to these general measures, there have been sanctions. They concern, for example Russian nationals or businesses. Rusal, the world's leading manufacturer of aluminium, China aside, is an inevitable partner for Western companies and it has suffered sanctions since 2000. The prospect of losing its permit allowing to work in the USA has just forced the company to change its shareholders, causing the resignation of its French CEO, with the probable appointment of future ... American managers. The most glaring example of the use of the extraterritoriality in American sanctions at the service of the USA only is that of Iran: on 8th May 2018, the American President decided to end the USA's participation in the Iranian nuclear deal (JCPOA). Since then the American administration has re-enforced all the secondary sanctions that were lifted in January 2016. These sanctions are said to be primary regarding American businesses, secondary when they apply to non-American operators working outside US territory. The re-introduction of prohibitions concerns transport, energy, financial services and insurance, automobile (on 4th November 2018), but also individual measures against Iranian entities and nationals and the revocation of authorisations previously delivered by the American administration like civil aviation for example. All European businesses with economic and commercial interests in the USA have chosen to withdraw from Iran. The principle of reality is an imperative for us all: either by their own decision, or due to the impossibility of finding a European bank to process their transactions, European businesses are withdrawing from the Iranian market, including those whose goods are not covered by the sanctions! This is the extraterritorial effect of American economic and commercial sanctions, but also the diplomatic challenge made to the independence of the European Union and the Member States. Extending the USA's foreign policy to other countries obliges sovereign countries to implement American policy including in the aim to achieve, as Washington now publicly demands, a change of regime in Iran. The nuclear agreement was concluded between the UK, Germany, France, Russia, China and the USA on the one hand, and Iran on the other. Its aim was and is to freeze the Iranian nuclear military programme. Its implementation supposes that all sides fulfil their commitments to the letter. The unilateral withdrawal by the USA is their responsibility, but cannot be held valid for the other countries. What means of action is there for the European Union? Can we do anything about this ready-made, unique diagnosis of the transatlantic relationship? The European Union has given a united, firm response. Legal or power relationships? Unilateralism or multilateralism? This debate is a political one before being legal. The challenge is significant since the extraterritoriality of American law is finally based on a notion of universal competence. Several initiatives have been launched. Some were defunct before they even got off the ground, like requests for derogations, rejected mainly by the USA, or the idea of an appeal with the WTO, which might herald the final nail in its coffin, and which would in all likelihood come up against the "security exception" provided by article XXI of the GATT. To date the WTO has not provided the definition of what the "national security exception" is, since litigation is still ongoing between Qatar and the United Arab Emirates on this point. It has to be said that a reform of the WTO's appellate body would be opportune. Legal recourse in the USA is not very realistic, despite the opinion of some observers and the analysis that was made of a decision given on 24th August 2018 by the Second Circuit Court of Appeal in New York. This decision only concerned corruption measures .and a specific hypothesis of extension, via an interpretation of "conspiracy" that the Court deemed too wide. Likewise, the case brought before the International Court of Justice by Iran under the 1955 Bilateral Treaty with the USA will predictably remain without effect. Turning to the European Bank of Investment (EIB) or to a dedicated department of the BPI, comes up against the financing of these two major establishments on the international capital market. The hypothesis of a "mirroring legislation" enabling the Europeans to sanction American businesses in turn has also been discussed. This hypothesis would be ineffective since by definition it is not the American businesses that are likely to take over from European companies that are affected by secondary sanctions, since the latter can work even less with Iran in application of the so-called primary sanctions. Firstly, the so-called blocking statute (not to be confused with the French blocking law dated 26th July 1968 that was purposely precluded by the American Supreme Court in its decision dated 15th June 1987 regarding Aerospatiale). It was effective during the embargo against Cuba. Its annex has been updated and it entered into force on 7th August 2018 targeting American sanctions regarding Iran. This regulation has the major merit of having provided an almost immediate, political response on the part of the European Union. It neutralised the consequences of American sanctions that were to affect EU operators for having continued their operations with Iran. These sanctions are not recognised by the EU Member States' national authorities and cannot be implemented in the EU (exequatur). The regulation protects European operators except for assets held in the USA. The regulation also bans a European operator from complying with American sanctions, and in France, the Customs Code provides for a criminal penalty in the event of a breach of national or European legislation in terms of financial relations abroad. The "shield" is limited to those who have no activities or assets in the USA and inconveniently carries a double penalty (both an American and European sanction!). The regulation certainly allows those who have suffered damages the right to repair before the Member States' courts, but the Federal State benefits from jurisdictional immunity. The regulation must be improved in terms of efficacy in this regard. However, it has to be admitted that Europe's task is not an easy one when we see that France's major banks, BNP and Société Générale, have given up opposition to the embargo and accepted with regard to the latter (the most recent sanction) to pay 1.34 billion $ for a breach of the Helms Burton laws (embargo on Cuba) which however had been purposely targeted by the so-called European blocking statute. To complete the picture the two big French banks might say that Europe had expressly mentioned the blocking of part III of the Helms Burton law, but not part I. Sometimes, the law is weak in the face of the political. Secondly several Member States have worked to make safe some financial channels. The American Treasury had until 4th November 2018 to confirm or not, whether it would ask Swift to disconnect the Central Bank of Iran and Iranian bankers from its network, thereby preventing them from continuing secure payments with European operators. The idea would have been to get a humanitarian exemption from the USA (OFAC). Pharmaceutical, agricultural and agri-food products are not the focus of American secondary sanctions. To date it has been impossible to achieve this humanitarian exemption that might incidentally, even have been in the USA's interest, to avoid it being accused, for example, of causing a sanitary crisis in Iran due to the lack of the corresponding treatment products. But an intermediary means was retained since several Iranian banks remained connected. As this article goes to press, at least one, voluntary French bank has been able to finalise financial operations with Iran's banks via Swift and a compensation on the Target platform. Nothing would exclude - to quote an extremely high-profile example - the resumption of the export of cows by our breeders. 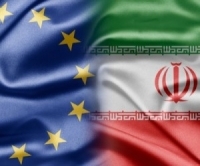 Thirdly the European Union had announced that several Member States were planning to introduce a "legal entity", an SPV, allowing European businesses to continue trading with Iran. In practice however, this is an autonomous platform to register products traded between Iran and other countries under American sanction on the one hand, and the countries taking part on this platform on the other, without using the dollar or the American financial system. This platform would record the advantages and disadvantages (a right to purchase goods) with the advantages to the benefit of Iran pro rata its sales of oil in euros, probably towards China or India whose accounts would be debited to the benefit of European businesses which would provide Iran with goods in exchange. This journal entry mechanism (it is not a bank) would be undertaken without any physical movement on its part, with a to-be-defined settlement date. The mechanism which would take the shape of a special debt fund has finally be launched. It was presented by a joint declaration on the part of the French, German and British Foreign Affairs ministries on 31st January last. Named, INSTEX it will be registered in France, led by a German with, as its shareholders, France, Germany and the UK, i.e. the three European countries signatories of the Vienna Agreement on the Iranian nuclear deal. The place of the other countries, Spain and Italy in particular still has to be defined it seems for reasons of sensitivity rather anything of substance. The initiative is of size and much anticipated by Iran, or at least by those who want to stay in the agreement. The joint work of the EU, teams and governments alike, is to be lauded. It is a start. The goal, which is important in terms of political symbolism, is however more modest than the initial project, since it is focused on the trade of products that are not under sanction, like food products and medicines. This is a clearing house that will operate the humanitarian channel and offer a small amount of oxygen to the Iranian economy, provided that this clearing house does not process transactions involving Iranian oil. The latter problem still exists especially as the derogations granted by the USA to a certain number of countries come to an end. The three main countries and partners in the JPCOA were careful to recall in their joint declaration the importance of Iran's ratification of the texts integrating the Financial Action Task Force (on Money Laundering) rules (FATF). The European consensus on this measure has been made all the more possible because it can work for Iran and also for other countries, which are also under American sanctions. There is nothing to prevent the use of a platform like this, if tomorrow, the American sanction regime against Russia were to diverge from the decisions taken by Europe. Let us hope that other European countries, but also non-Europeans will join INSTEX. These three solutions do not absolve the European Union from working in the long term on the strengthening of the euro's international role, like the centralisation of expertise enabling a coordinated sanction response between the Union's Member States. This "single voice" on the part of the Union might have much to gain by the organisation of one that is similar to that of the American OFAC. The idea of a European Business Code put forward by the Aachen Treaty on 22nd January also makes sense if we want to prevent the universality of American law via rules of "compliance" or "over compliance". Finally, the political nature of the power struggle started by the USA justifies the EU and its Member States' political action in forums like the G7 and the G20 and even as part of possible bilateral trade negotiations. French sovereignty can only enjoy its full efficacy if it can depend on the support of Europe's means of action in a shared form of sovereignty. When this day comes the banks of Europe will be able to cease being the voluntary agents of the American administration.